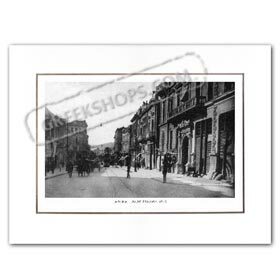 Vintage photo of the city of Athens, in the region of Attica, circa 1910. This particular image shows Stadiou Street. Please see additional images for more details.